Cute metal tray featuring Ocean City, New Jersey! 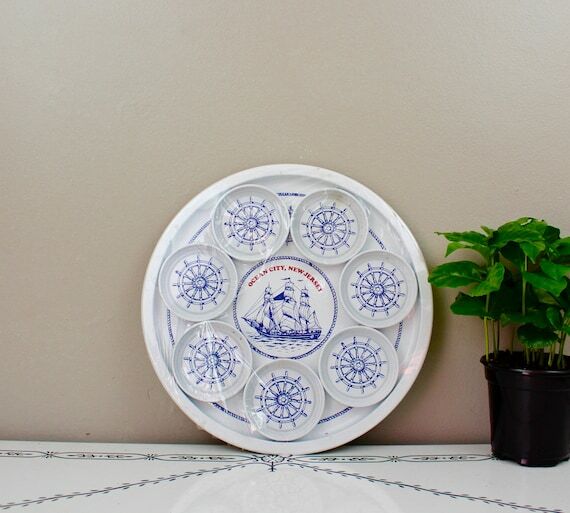 A great vintage souvenir in a round shape with a nautical motif. The background is white with blue ship and accents. Set includes one drink tray and 7 coasters. Still in original wrapping! The wrapping has been torn a bit, but items are in perfect condition. Would look adorable hung up or on your bar cart!